Send an unexpected Get Well Soon Fruit Basket, Fruit Bouquet, Gift Basket or or any Gift from our products to show, how much you care. Sending an unexpected Get Well Soon Fruit Basket is a great way to show how much you care. 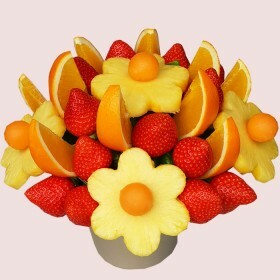 Send Get Well Soon Fruit Flowers and brighten their day.